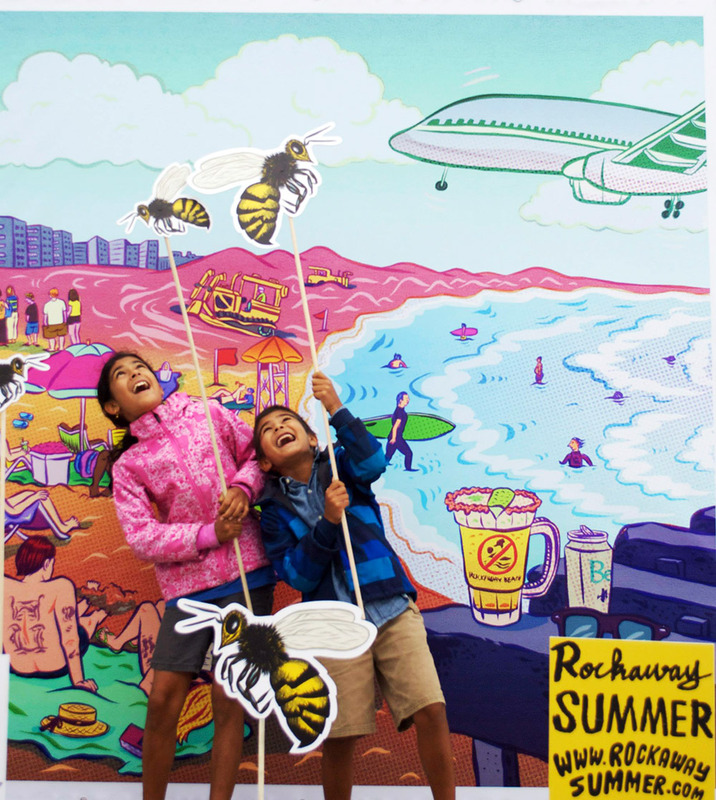 To celebrate NYC Honey week, my poster for Rockaway Summer became a six square feet photo booth at Rockaway Beach 97th! I just simply drew a bee for it, and people made look even better and fun! 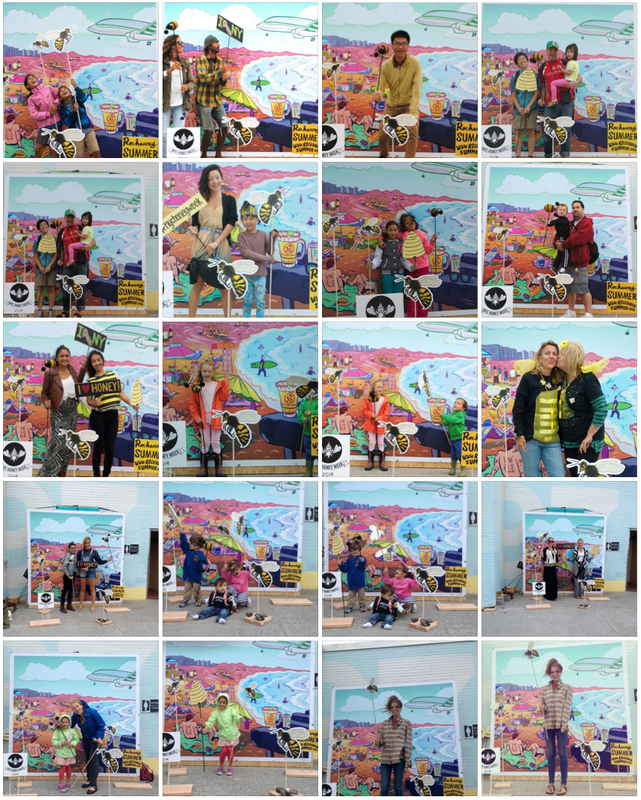 See all the photos HERE. Thanks again to Giovanna! I worked for Swiss fashion Magazine Annabelle’s funny column in issue #16. It was about ‘Perceptions of Female Attractiveness Around the World’. ‘Barn to Bun’ for Atalnata Magazine’s September issue! Two Numbers section illo for Newsweek. 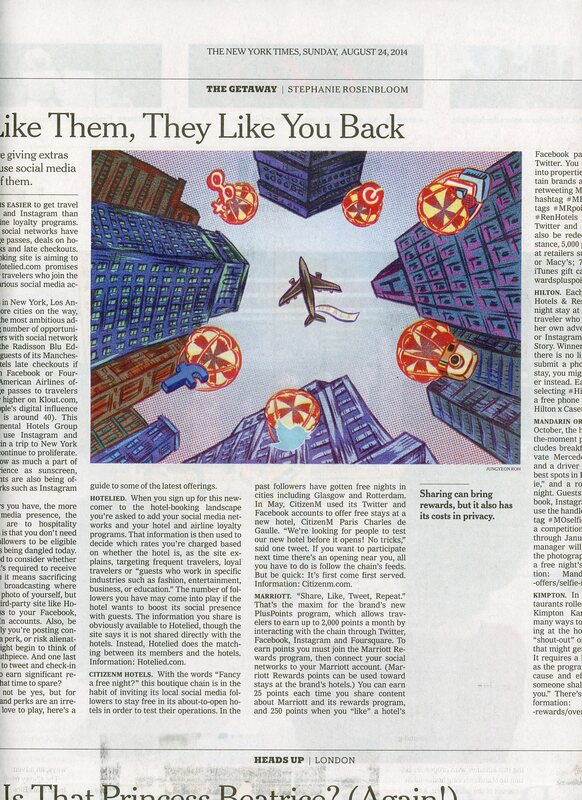 NYT Travel section illo. Glad to work again with AD Shannon! 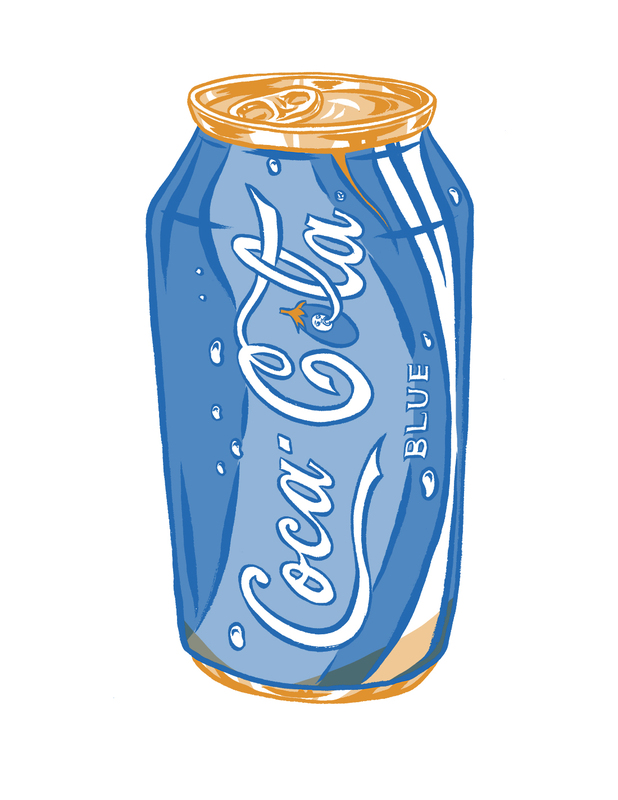 Bonus – A blue coke for Miss Eggplant! Posted on September 16, 2014 by Jungyeon Roh. 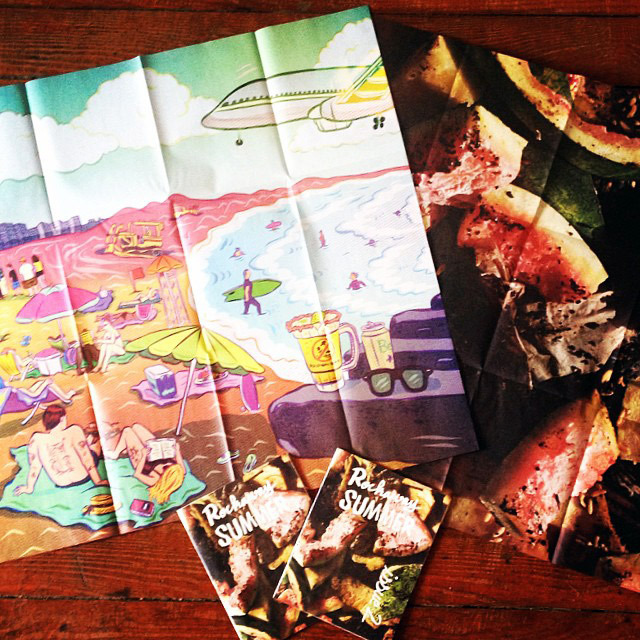 This entry was posted in Editorial, Europe, event, Food, Magazine, New York and tagged Annabelle, Atalnata Magazine, jungyeon roh, newsweek, NYC Honey Week, NYTimes, Organic Burger, rockaway summer, Travel. Bookmark the permalink.